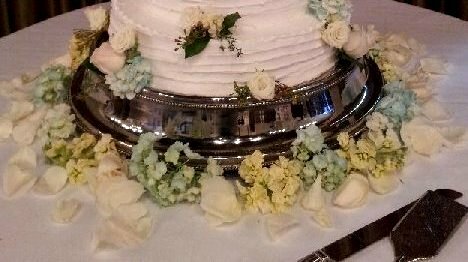 You can see at the bottom that my clusters of flowers began to get bigger, compensating for the largest size of cake tier. 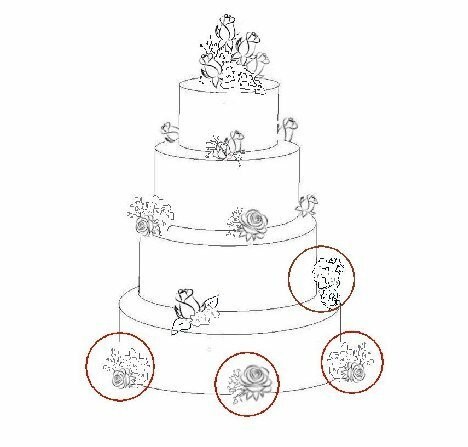 Once all your flowers are placed on the actual cake, you can elect to use any remaining flowers around the cake base or stand. That's it! 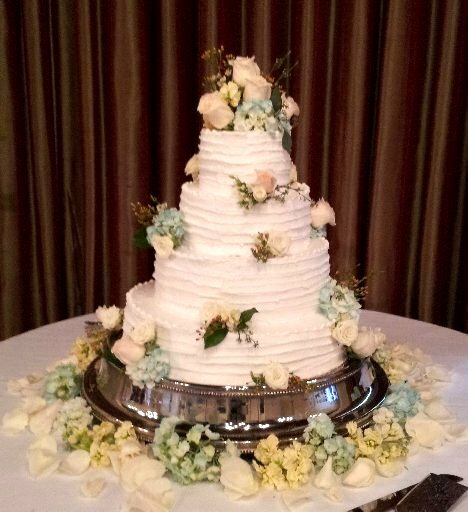 The cake can be quickly turned into a floral design to be proud of. 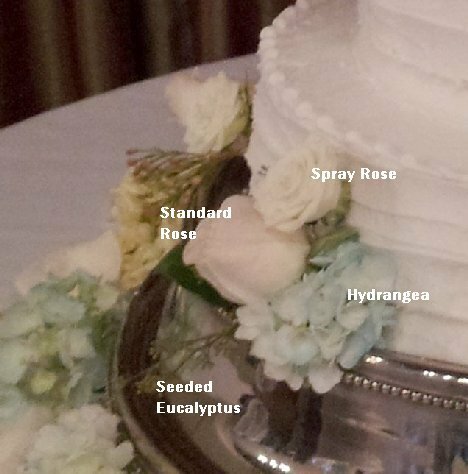 I usually pull off the petals of spent roses and sprinkle them on the table top . . . I definitely don't want any flowers to go to waste!